Kalypton is a UK-based start-up with global capabilities. The company has created a Tereon solution an award-winning, patented technology to enable significant cost reduction to banks and financial services organisations, by allowing real-time, dis-intermediate settlement to migrate non-compliance fines and increase market share. 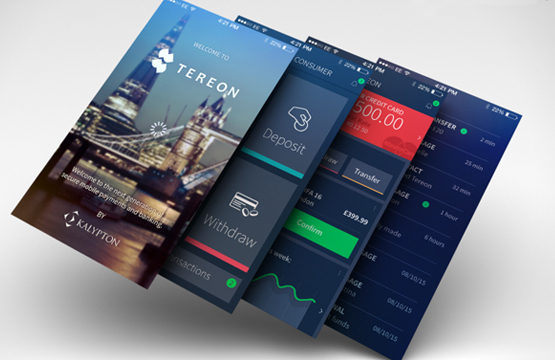 The Tereon solution has been tested by several global financial institutions and obtained recommendations for implementation. Kalypton thanks to Tereon application gains $2.6M investment after being winner of the U.S Federal Reserve’s Faster Payments Taskforce top vendors list (1st place for 16 candidates). Kalypton Limited expressed the will to conduct in Poland, together with the Euler Software R&D works on the development of Tereon applications and its maintenance at commercial customers. The Polish Association of Alternative Fuels (PSPA). The Polish Association of Alternative Fuels (PSPA) is a non-governmental organization, established by a group of experts seeking to implement cost-e ective, low-carbon energy technologies. It operates under the Polish Law on Associations. PSPA integrate top Polish and foreign companies, working together to shape an adequate economic environment for the development and e icient functioning of the alternative fuel market. The associated entities reach agreement on the positions and activities of PSPA. The statutory activity of the Polish Association of Alternative Fuels is based on four pillars: acquisition and dissemina- tion of knowledge, working to amelio- rate the law, market integration and communications. We apply all available tools and create new ones in order to maximize our e iciency in our pursuit to ensure competitive market conditions. Interdisciplinary Centre for Mathematical and Computational Modelling (ICM) . ICM UW is a leading data science facility in Central Europe. High performance computers used for processing, analysis, visualization and advanced computing tasks are our speciality. ICM is a team of highly qualified experts, equipped with modern high-performance data infrastructure. ICM provides optimized, comprehensive solutions for research, business and the public sector.